This article is Part III in a three part series. Click here for Part I and Part II. As a culturally and politically aware New York City teenager, I knew that there was a buzz among bohemians and literati about LSD use. That in the early 1960s artists, musicians and poets were using psychedelic drugs was not exactly news. And that some of these artists were Jews (in a city a quarter of whose population was Jewish) was not exactly news either. 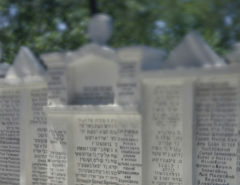 But as far as I could tell the Jews taking LSD were what Yiddish speakers called ‘viesser yidden’ – ‘white Jews’, as distinct from ‘Jewish Jews.’ ‘White Jews’ may have had a Jewish last name and a weakness for bagels and cream cheese but they weren’t speakers of Jewish languages or practitioners of the Jewish religion. Were any of those religious or cultural Jews, I wondered, interested in the relationship between LSD use and religious experiences? But despite these prohibitions and the social stigma among Orthodox Jews about drugs these young Rabbis planned to take LSD and tell the story of their trip to me – a member of their extended community who had one foot in the emerging counterculture. And strangest of all, they planned to ingest the LSD in a synagogue. For it was in Carlebach’s ‘shul,’ above which he and his parents lived in a modest apartment, that Rabbi Zalman Schachter decided his friend Shlomo would feel safest when the acid took effect. 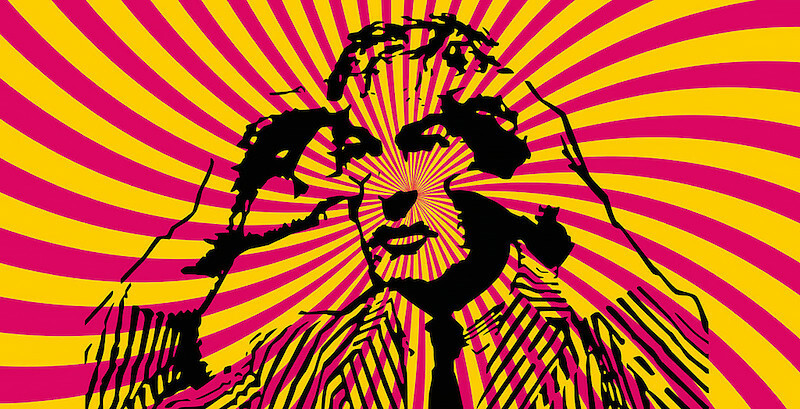 For Schachter’s LSD guide, Timothy Leary had made the case that each LSD experience had its ‘set’ and its ‘setting.’ And in this way he turned taking LSD into a religious ritual of its own, a ritual in which he, Leary was “High Priest” and each person who underwent the ‘sacrament’ with him was then initiated into the priesthood of chemical consciousness. Only a few weeks before hearing the exciting but somewhat unsettling news of Schachter and Carlebach’s impending LSD adventure, I had heard a talk by one of the ‘viesser yidden’ – Richard Alpert, formerly of Harvard University’s Psychology Department – a talk in which he and Timothy Leary waxed poetic about LSD use. Alpert and Leary had descended from the Millbrook estate in Dutchess County New York (home of the ‘International Federation for Internal Freedom’) to enlighten Manhattanites about LSD. At the meeting I attended, at the Albert Hotel in Greenwich Village, hundreds of people crowded into a small ballroom to hear tales of an impending “psychedelic revolution” which would transform America. 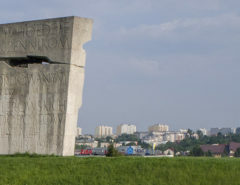 And those who became the vanguards of that revolution were warned that they had to take the drugs in a responsible manner – the ‘setting’ of the drug experience was all important. In retrospect, I realized that there was an oddly moral tone to Leary and Alpert’s warnings about taking responsibility for one’s actions – even when ingesting a chemical that might make your actions completely unpredictable! 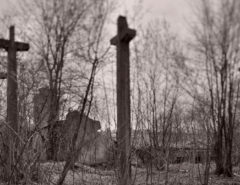 When I walked out of the meeting, mulling over what I had heard, I thought: nothing (except the moralizing tone) could be more distant from the Orthodox Jewish world in which I had been brought up. And perhaps that’s what made Carlebach’s news of ‘two Rabbis tripping’ so unsettling for me. Two worlds that I had endeavored to keep apart – the NYC Bohemian world and the Orthodox Jewish world – were threatening to collide. Somewhat naively, I didn’t anticipate that the school’s rabbinical authorities would have a problem with this . Later that year their opposition to modernity became clearer when they rejected a short story written and submitted by a girl (albeit a Jewish girl). It wasn’t the content of the story so much as the idea of publishing literature by a girl in a boy’s yeshiva magazine that was not possible! In the spring of 1964, when Schachter and Carlebach planned to trip together, LSD was still a legal substance in the U.S. It was only two years later that that the State of California and then the US government would criminalize its use. For a dozen years before its criminalization in 1966, American and British elites had been sampling psychedelic drugs – including peyote, psilocybin, and LSD. Among these elites were many creative artists: Andre Previn, Anais Nin, Jack Nicholson, James Coburn, and Cary Grant. And figures from journalism, industry and business, like Time publisher Henry Luce and his wife Claire Booth Luce, the “grand dame of post-War American politics,” were taking LSD. 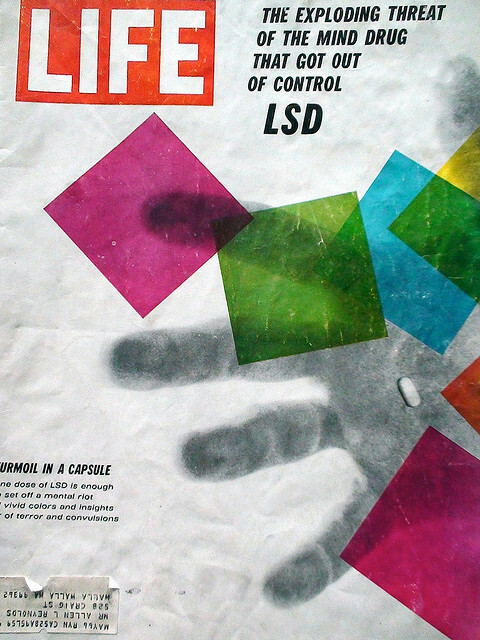 This may account for the fact that half a dozen positive articles about LSD appeared in Time magazine between 1955 and 1960, though, at the time, no mention of the Luces’ psychedelic experiences appeared in Time or anywhere else for that matter. In contrast, Leary, once he and Richard Alpert were ejected from the Harvard Psychology Department, couldn’t have ‘too much of a good thing.’ Leary was determined to open the “doors of perception” (in the Blakean language used by Aldous Huxley in his influential tract on psychedelics) to everyone. But Leary, too, started with elites – academic, artistic and cultural. And it was as a professor of Religious Studies that Schachter gained entry to Leary’s ever-expanding inner circle. In 1962 Leary had been Schachter’s guide, and now two years later, Schachter would guide Shlomo Carlebach on his voyage. At this point in time, I would be neither guide nor voyager, but a chronicler of their interaction. I anticipated their ‘trip’ as if were my own, and I could barely wait until later that summer when I could record their ‘return to planet earth’ from the far reaches of altered consciousness. 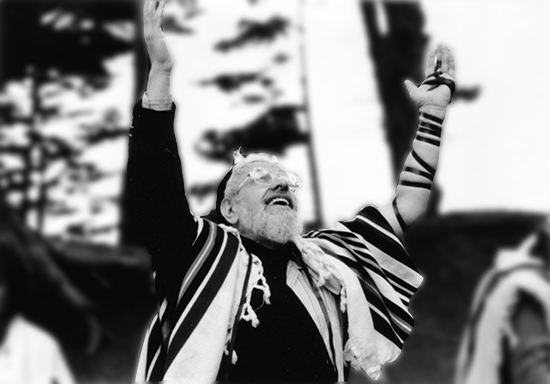 In the mid-1960s Rabbis Schachter and Carlebach were in the first circle, the Millbrook circle, from which LSD spread to bohemia, especially to the Beats of New York and California. Within a scant three years of Leary’s declaration that he and his associates sought to ‘turn on America’ thousands of Americans took LSD, and by late 1965 that previously unavailable substance was ingested by many in the bohemian enclaves of New York and San Francisco. From the Millbrook Estate in Upstate New York Leary preached the gospel of expanded consciousness and sent out ‘disciples’ to turn on the masses. And along with the LSD on blotter paper or sugar cubes came a set of expectations, one might almost say a theology, about the import of the psychedelic experience. For Leary and his associates had packaged their campaign to promote LSD use in an exotic cultural and religious framework—that of Eastern religions in general and of Hinduism and Buddhism in particular. 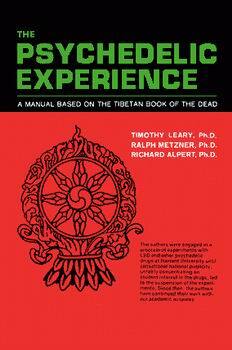 To solidify that identification between psychedelics and Eastern religions Leary, Alpert and Metzner wrote: The Psychedelic Experience: A Manual Based on The Tibetan Book of the Dead. They weren’t the first to assert that the LSD experience was fundamentally a mystical one. The link between psychedelics and mysticism and the connection to the Tibetan Book of the Dead text was first made by Aldous Huxley in The Doors of Perception, published in 1957. But for Zalman Schachter and Shlomo Carlebach, Jewish texts – and not Tibetan ones – were the primary lens through which they would understand their psychedelic experiences. Uneasy about subjecting Carlebach to the same strangeness that he had felt during his trip with Leary, Schachter made sure that Carlebach’s trip would take place in as safe a place as possible – in his family’s own synagogue – and that he would be guided by someone who knew his language and the world of his religious symbols. With Carlebach, Schachter shared a profound knowledge of Yiddish and Hebrew, as well as a common ground of kabbalistic and Hasidic references. Direct dialogue was possible. And as an observer, one who came from a similar, although not identical cultural world, I could follow the ‘Yeshivish’ descriptions of their trip. Schachter spoke to me of ‘aliyat haneshamah,’ ‘the ascent of the soul,’ an experience related by Jewish mystics of the past, among them Kabbalists and Hasidic masters. And they both spoke of encountering angels and other celestial beings. Those parallels would fuel his creative impulses and those of musician Shlomo Carlebach for decades to come. Wow! So grateful to find these three articles! I’m curious about Schachter’s Commentary Magazine article from this time. As I understand, he addressed the question of whether drugs are Kosher and concluded that without an experienced guide they are unsafe, but I’ve not seen the actual article.